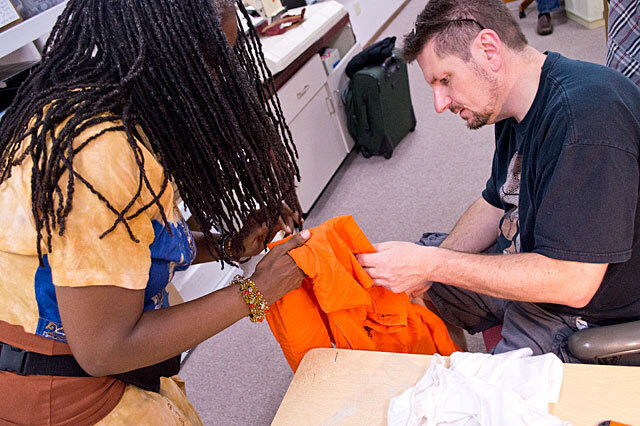 On Saturday, August 10th, 2013 Milwaukee Makerspace hosted the first “Fix It Milwaukee” event. 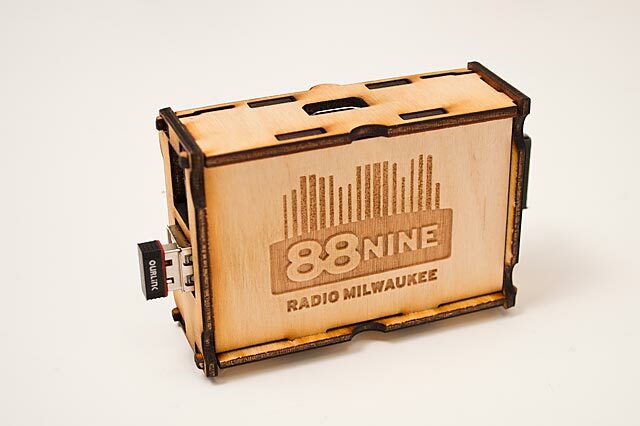 We invited the people of Milwaukee to bring in their broken things, and we did our best to fix them. 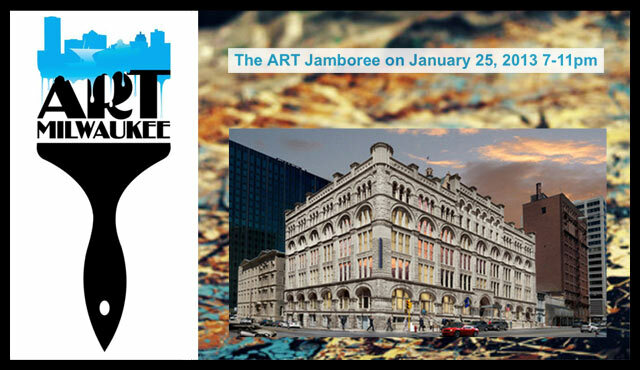 The idea for the event came from Milwaukee County District Supervisor Jason Haas, and we partnered up with the Milwaukee Area Time Exchange to make it happen. We really didn’t know what to expect, but it turned out great, and we’ve already got members interested in doing it again. Did we fix everything? Nope… some things are either too difficult to repair, or made so cheaply that they are not worth repairing, but percentage-wise we did really good, and I’d estimate an 80% success rate for fixing things. Throughout the event we probably saw about 25 people bring in items, and we had about 20 members helping fix things. At few members mentioned that it was a lot of fun troubleshooting things and working in teams to determine the best method of repair, and at least one member picked up a few new skills along the way, which is what we’re all about! 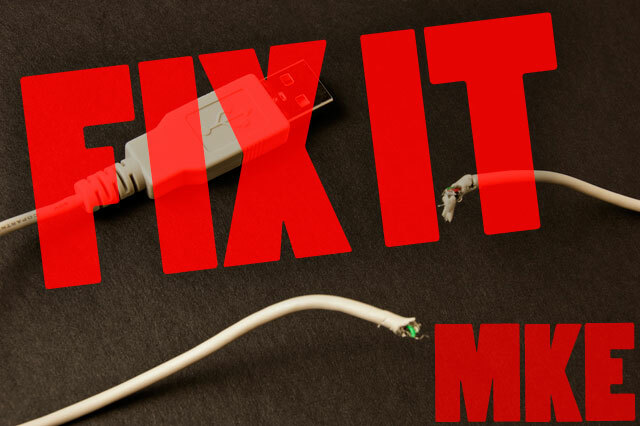 Keep an eye out for our next Fix It Milwaukee event… The more items we can keep out of the landfill, the better! Milwaukee Makerspace is proud to team up with the Milwaukee Area Time Exchange and Milwaukee County for “Fix It Milwaukee” with the goal of repairing those broken things you’ve got around the house so they can become useful again and not end up in the landfill. 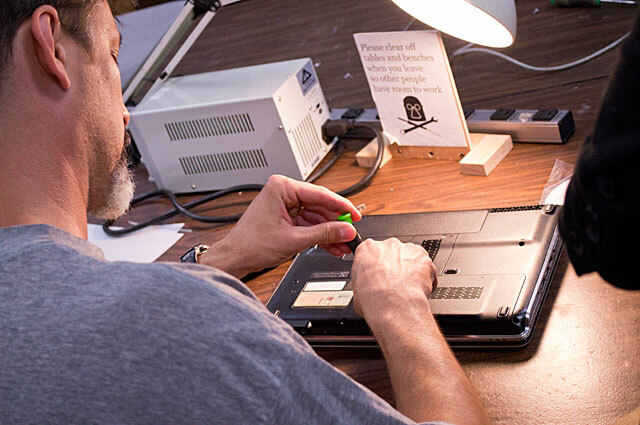 We’ve got a great team of volunteers who are skilled at troubleshooting and fixing everyday items because, well, we do it ourselves all the time. Many appliances can be fixed with the simple replacement of a switch or wiring repair. If things like computers or bikes or torn clothing seem beyond your skills to get back to 100%, we’re here to help. Joshua is a recent addition to Milwaukee Makerspace, and as we mentioned before, he runs a kit company called BrownDogGadgets. Well, the latest on Joshua is a Kickstarter campaign he’s running… and yeah, did we mention it’s over $71,000 now!? 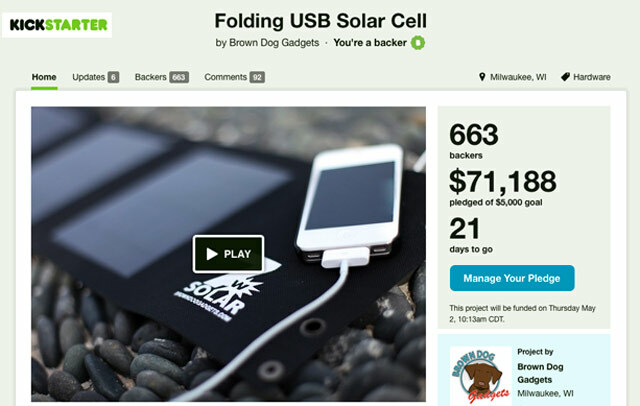 He originally had a goal of $5,000 but the backers showed up in force to support his Folding USB Solar Cell project, and even though it’s been cloudy and raining all week here in Milwaukee, it’s all sunshine and smiles at the success of the campaign so far. I then separated the top bars (which are orange in the original logo) and dithered them to create a visual separation from the bottom part of the logo that was brown in the original. Here’s a close-up of the dithering pattern. It’s extremely simple, but it worked. I’ve done a lot of work with halftones and dithering, and you can get extremely complex, but sometimes the simple things just work. 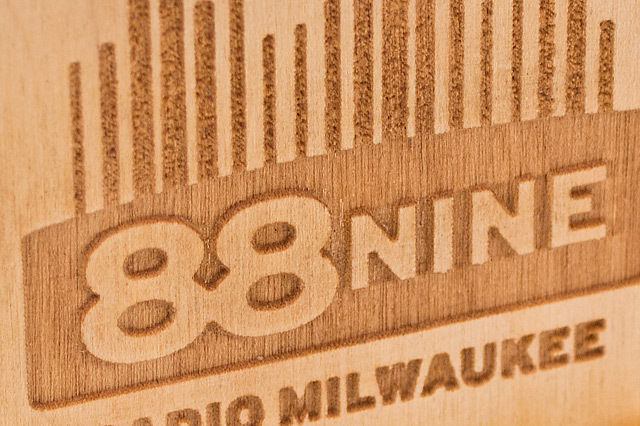 Here’s a close-up of the final piece of Baltic Birch plywood with the logo etched in it. I’m pretty happy with how it turned out.